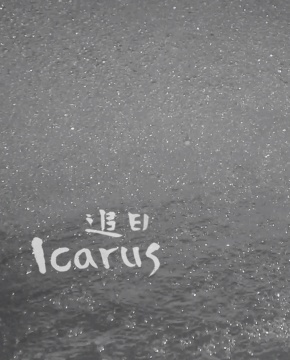 Icarus flied through the cloud and mist, watching all the rising things flowing away. Though struggling to survive, the turtles, long pavilions and helicopters vanished eventually. All things disappear. There is a long way to chase the sun, while sunlight always before our eyes. With more vanished things coming to us, we feel the light in front of our eyes.